These jars were purchased at an auction. I can see black specks in all of them, which makes me think they were actually used. The white one with dragons has a seam on two sides, some smears where five toe dragons painted. When light shone through it the all white one seems to have striations in it suggesting it is stone. The Peking Glass one is quite damaged, so not sure worth - but has crane, butterfly and water lily on it. Modern snuff bottles late 20th century. Made in large quantities in China today. One so called 'Peking glass' bottle with the pink leaves. One behind glass bottle with inside printed decoration. 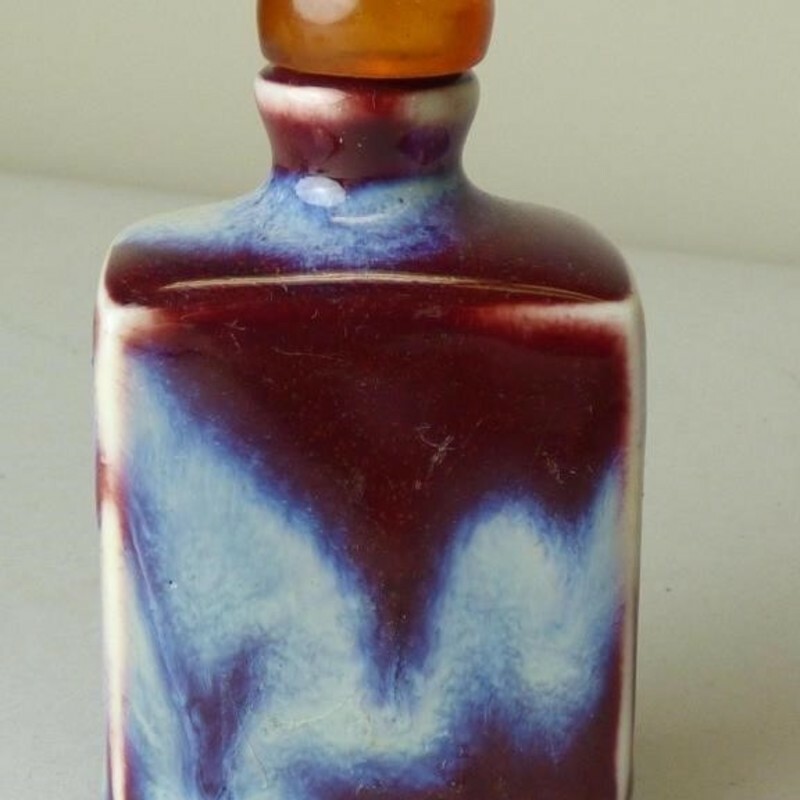 A Sang de Boeuf bottle with red / blue glaze, A white glass or possible natural stone bottle, a [porcelain bottle with blue dragon decoration and a tibetan metal bottle. All made for export purposes and decorative. Modern bottles are also collected. Estimates are based on actual auction / platform prices. Estimate is for the whole lot. Louis xvi style carved oak fauteuil.